Spiritualgrowthadventure – A new approach to spirituality, meditation and spiritual growth. There is more on this blog about a soul’s journey down into Creation and then back up to God, and more about the planes of consciousness and what is going on in the planes, plus about reincarnation (1), (2), (3). Some time ago I was suggested to me that I should look into a person called Meher Baba who had lived in India and died or dropped his body in 1969. So I did. I was living in London at the time so it was easy to get hold of a picture and a small book of Meher Baba prayers. Daily, I looked at his picture. I thought he had a big nose, which was an odd thing to think, but I mentally told him that. I said the prayers to try and make a connection. I felt a calmness after saying the prayers. I found out there was a Meher Baba centre in west London, so a few weeks later I visited. It was in the basement of an ordinary looking house not far from Hammersmith. There were several people present who were friendly and warm. Not in the slightest were they pushy. just content and happy. I told them I had found out about Meher Baba from a friend, and they suggested we watched a video (a lot of these are available online and on Youtube now). The video started up and there was Meher Baba looking out at us. A rush of emotion flooded over me as I looked in his eyes. My heart melted and expanded. The old was washed away. Tears of joy ran down my face. Here was what I had always been looking for all my life, but I hadn’t known I was looking. In an instant my life and my outlook on life was massively changed. I was looking at the purpose of my life, at my Everything. I could feel a very, very deep connection with Meher Baba, the thief of hearts who had in less than a blink of the eye, stolen my heart. This was my reaction. I can’t say other people would react like that. Meher Baba though, had once communicated that he was for everyone, but that not everyone was for him. So while he did his Universal work for everyone (and everything in Creation) he didn’t expect everyone to acknowledge what he was doing or have a connection with him. Some people would feel a connection, while others wouldn’t. Meher Baba was born on 24 February 1894 in a Jewish hospital and given the name Merwan Sheriar Irani by his Zoarastrian parents. he went to a Christian school. He had a normal life up until he was 19. Then, he was called by Hazrat Babajan. She was very old and lived under a neem tree in Pune. She was one of the five Perfect Masters of that time. She kissed Merwan on the forehead and triggered his latent God-consciousness which poured in. Not eating or sleeping, and repeatedly banging his head with the intensity of the effort, he integrated his God-consciousness with his normal everyday personality consciousness. He journeyed to meet the other four Perfect Masters. Meeting each one, he internally lived each of their experiences and absorbed their role. The fifth Perfect Master, Upasni Maharaj, upon seeing Merwan, threw a stone which hit Merwan in the forehead, drawing blood. This had the effect of bringing his consciousness down to earth. Merwan stayed with Upasni while he further became grounded and absorbed the God-consciousness. It is well documented how Merwan became to be known as Meher Baba (meaning compassionate father). There are also accounts of his Universal work which was extraordinary, and a universe apart to what people consider to be lightwork today. As part of his work he travelled, including to Europe and the USA, and people took it upon themselves to record and film these for people in the future. 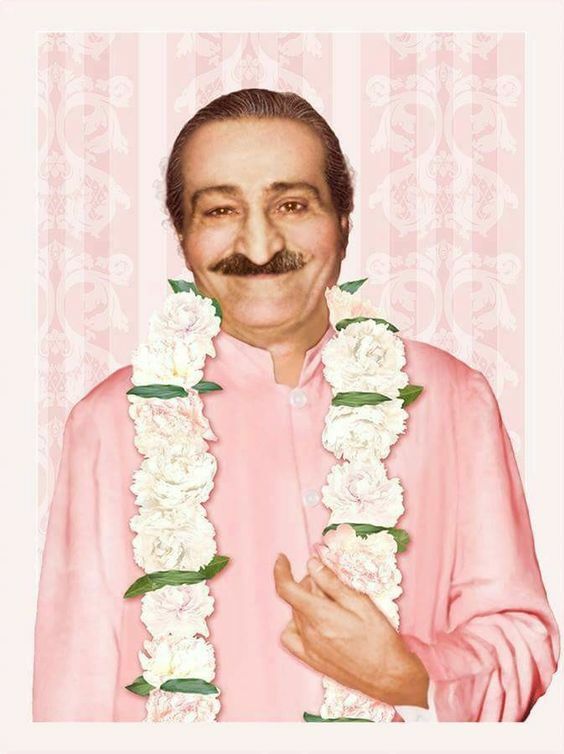 Meher Baba communicated that he had been the Avatar in different times, Ram, Krishna, Buddha, Jesus and Mohammed, and others going back in time, each time returning to do His Universal work for the whole of Creation. He also had some minor incarnations. The Avatar incarnates between every 400 to 700 years, each time with a different name and personality. The Avatar usually incarnates in India because the ground energy is very high and supports spiritual work, as anyone who has been to India for spiritual reasons will notice. In his work, he made all the key major decisions for the next three thousand years and set out the timelines for the next twelve hundred years for Creation. What we are experiencing now is a direct result of this work. Meher Baba dropped his body in 1969. The period of 100 years after this, up until 2069 is considered as a time when his energy is very present and is called an Avataric Period. The energy on this planet and in Creation before he was born was 75% dark and 25% light. Before 2069 this has to change over to 25% dark and 75% light. That is a big change, and we are right in it! Then there is more change to come as the old karma is worked out and old spirit replaced and new law replaces old law. How the world will change. Real spirituality is very revolutionary in all senses of the word. I had a taste of the Avataric energy. The Meher Baba followers or lovers, as they called themselves after the romantic Sufi spiritual poetry (read Rumi and Hafiz to see what I mean), would occasionally hold meetings and events. After some of these, we would say some of the prayers Meher Baba had written. Then we stood silent. In would come an incredibly powerful, deep and dynamic silence that was full of love. It was like the doors of Eternity being opened onto the Infinite. This Silence and Stillness would flow out and around us, and out beyond us. Then the silence gradually became like normal silence. The first time this happened was a great shock as it was unlike anything I had experienced before. There were / are some books I have found really useful that were written by Meher Baba. The energy of them is truly phenomenal, and if anyone is drawn to reading them I would recommend it. A key book is God Speaks. This is about God and a spiritual description of Creation and it’s purpose. It helps the reader know who and what they are. Another profoundly useful book is Discourses, which is a guide to understand life and how it can be lived. It’s topics include violence versus non-violence, meditation, and relationships amongst others. There are other books that are also worth looking at. I read from a few sources on the Internet recently that over 150,000 people die each day. That seems quite a lot of souls going to the inner planes each day for a rest, to review their life and prepare for the next life. Death is the soul dropping the body so it can go on the next step of its journey. The number 150,000 plus deaths per day will go up for a while when there are things like epidemics, famines, droughts and natural disasters. Also this figure is human deaths; souls of humans dropping the physical shell and going on. It doesn’t take into account the souls dropping the physical forms of animals, birds, reptiles, fish and insects and so on around the world each day, and remember animals and other creatures also get caught up in natural disasters. For the esoterically minded we could include those souls in plant forms as those plants die or are destroyed, and souls going through the mineral experience. These souls mentioned above are souls leaving the Earth prior to reincarnation. There are also souls coming into the Earth and taking physical form; there are births as well as deaths. In human terms, the number of births is greater than the number of deaths, and this is for a spiritual reason. Souls want to come here because of the intense spiritual energy at the moment and they want a taste of it. I mentioned natural disasters as a cause of death. It isn’t the biggest cause over a long period of time, usually. Natural disasters grab the headlines as they are so dramatic. A big component of natural disasters is the weather, and the weather is becoming more extreme. There seems to have been more storms, tornadoes, hurricanes and typhoons, more flooding, and more high temperatures, winds and fires than before. Some places which are susceptible to extreme weather and natural disasters may not be good places to live much longer if things become more intense (which is likely). It is useful to take an energetic look at the weather. From an esoteric point of view air has air elementals in it like small devas. Then if you look at a hurricane you can see the big deva in it. The deva is on a mission and marshals the air elementals to do what the big deva sets out to do, and big devas can carry a lot of power. It is the same with typhoons. Next time you see a tornado check out the deva and the smaller elementals within it. Notice the intelligence of the deva and try to get a sense of what it is aiming to achieve. There are elementals in water as well, and in a storm the deva of the storm will orchestrate these water elementals along with the air elementals. With flooding there will be a big deva in charge of the flow of water. With regards to fire, there are fire elementals. (In old esoteric literature these are called salamanders, not to be confused with the amphibian version.) There will be a fire type deva in charge of the fire elementals in a fire. The deva drives the fire for its own reason and to achieve its own ends. From a spiritual, energy point of view, the air, water and fire elementals, with the devas in charge of them are doing a job to change and improve the energy of the Earth. They clean up the energy. The mental and astral energy they clean up can be slow frequency, unpleasant and very old, coming from the Lemurian, the Atlantean and the recent Aryan Root race periods of time. This energy can also be very recent. For instance, as an example, imagine what the vibe or energy of the place was before Los Angeles was built, or before New York was built, or London was built (have to go back way before the Romans arrived). Now get a feel for the energy of Los Angeles, New York and London right now. Which was fresher, clearer, healthier? Before or right now? The same can be said for any built up human habitation around the world, with its layering of astral energy and mental energy as people exude or pump out their emotions and thoughts, and carry out actions filled with the energy of their intentions. We live in a material age which is fairly selfish and animalistic. This age isn’t noted for a way of living based on principles and loving respect for others and the environment. Such an age would create a different astral and mental residue to the one humanity has recently been creating. Hence there is some clearing up to do, and this is one of the roles devas and elementals do. They aren’t concerned what humans think about this. The Earth needs to change, and they are making sure the change happens. Who do you think has told them to clean up the Earth? A little known idea in the spiritual world is that Creation was first started by the first Avatar, Ganesha (the one in pictures and shown as statues with an elephant’s head). The Avatar then chose five souls that had come down with him, and gave each a quality, a spirit of God. So the first five Perfect Masters were created. One Perfect Master had the quality of Bliss, another Perfect Master had the quality of Wisdom, then there was Power, Knowledge and Truth. Each Perfect Master was 20% of God, so the five together were 100%. The Perfect Masters’ consciousness was on the lowest three Divine Journeys; the first Divine Journey, the second Divine Journey and the third Divine Journey. There were many millions of Divine Journeys which held qualities of God, each with light and love more intense than the ones below, all the way Up to the Father. The lower three Divine Journeys though were just above what was called the Om point, the gateway to Creation in the below, so Divine Energy and souls could flow down into Creation.. Creation was created to consist of seven Planes of Consciousness. The bright white light of the sixth plane, filled with mental light, was energetically across a gigantic abyss from the first Divine Journey. The next plane, also a mental light plane, was the fifth plane. Then came the next lower plane, the fourth, which is a plane of power, of God’s power, which can be a tricky plane to move up through, because if there is misuse of power, the soul goes back down. The next plane was the third plane of consciousness, where souls turn their gaze inwards, towards the inner, rather than focus on the outer, material world. The lower planes were the second and first plane of consciousness, where the focus is naturally mostly on the outer world. The lowest plane, the zeroth plane was massive, and souls start of at the bottom of this plane on their spiritual journey back to God. The zeroth plane incorporated the mineral, plant, animal kingdoms and the beginnings of humanity. The Perfect Masters had a physical body, yet their consciousness moved around on the first three Divine Journeys, so they had access to infinitely big amounts of energy, which they could focus on Creation. Being Divine, Perfect Masters have Universal Consciousness. Aware of Reality, they know that Creation is an illusion. They operate in Creation, as they have a role to look after all the souls in Creation, and move them on through experiences on the Planes of Consciousness. When a soul has had enough experience and has balanced their karma enough, a Perfect Master will God-realize the soul, taking their consciousness up to one of the Divine Journeys, so they too experience themselves as their true nature, which is God. Having Universal Consciousness, the Perfect Masters are at the centre of Creation, they are the Pivot. They are at the centre of each soul. Everything they do affects all of Creation, as they help to balance karma and develop Creation spiritually. The Perfect Masters look after and work on Creation while the Avatar is back in the Divine Journeys. Every four hundred to seven hundred years, the Avatar returns with souls in tow, in a major or minor incarnation. They do their Universal work, give instructions concerning what needs to be done to move Creation in the right direction and drop their physical body, and go back up the Divine Journeys again. The Perfect Masters do their best to implement the changes. When an issue came up the Perfect Masters would take a vote on what to do. Sometimes an energetic vote would be unanimous, 100%, so full energy could be focused on an issue. If the vote was 4 to 1, or 3 to 2, then less energy would be focused on an issue, which might not have been enough, so the Avatar would have to fix that the next time around. Perhaps that is changing now, so the five Perfect Masters work together better. When souls first come into Creation, they have a leaning to one of the Perfect Masters, Bliss, Wisdom, Power, Knowledge and Truth. They usually keep this affiliation. (Which means you will have a leaning to a particular Perfect Master. When a Perfect Master drops their body and dies, the energy, quality or spirit of that Perfect Master lifts from them to seek out the next possible likely candidate. Then it descends on the new candidate and they become the next Perfect Master of that quality. This Earth is currently the planet where all the frequencies of energy are found, and where all the planes and Divine Journeys can be accessed. This is the planet where the Avatar incarnates and where the five Perfect Masters live. What changes the Avatar and Perfect Masters make here on Earth radiates out into the rest of Creation. Currently, humanity is an important focus for spirituality, so three Perfect Masters work with humanity, and two Perfect Masters focus on the Devic realm. All Perfect Masters work with the Archangels (who are on the sixth plane) and angels (who are on the fifth plane). Perfect Masters may or may not work with groups of people, or make themselves known to the public as they are basically a bit busy looking after the whole of Creation, which is quite an all consuming job. It’s worth remembering that they are connected to all souls anyway, yours and mine, because they are in the centre of our souls, so in a sense they are working with us anyway. Footnote: Before Meher Baba became Avatar, the Perfect Masters, who at that time lived not far away from him in India (which helped to protect him when he was younger) were Babajan, Sai Baba of Shirdi, Upasni Maharaj, Tajuddin Baba, and Narayan Maharaj. There is information about them and photographs, on the internet. OK, so you have a guide. What does that mean? What is a guide? Where do they come from? Everyone now has a guide, like a spiritual personal trainer. These guides have a Divine nature, so they know the answers about how to get you from where you are now to where you could potentially be at the end of this life. Your Divine guide will most likely stay with you through all your other lives. They are a major guide for you and the picture they work with is your spiritual journey over many lifetimes, not just this life with its specific karma, life experiences, personality and lifestyle. Then there are other guides who are with you for part or all of your life. They may be very apparent to you or they may work in the background and work with you on the non-physical inner planes, or they may work through you. It isn’t necessary to be aware of your guide or to be aware of communicating with them. They can work in quite subtle, unobtrusive ways. A lot of medical people such as doctors, surgeons and nurses have guides that specialize in healing. They may have one or two guides that come through when they work with patients. Musicians and composers can have guides that specialize in music, which can be a powerful medium for conveying inspirational and healing emotions, and patterns of healing energy. Artists can have guides who specialize in conveying healing energy through art, and who help and work through the artists. Some meditation teachers, healers will have guides that can come through and provide healing energy and spiritual energy. Psychics and clairvoyants may have guides that pass on the gossip about people. As the person works over time, then the guide works, experiences and understands more about life down here. The guides develop spiritually and get spiritual advancement as well, which usually means more work and service. Guides are usually assigned to a person / soul before they incarnate with their life purpose and karma which helps them with that purpose, and the guide may have been with that soul for several lifetimes building up the working relationship. If a person goes through a change in their level of consciousness which might entail a change of karma and spiritual responsibility and work, their guide or guides may be changed during a lifetime. With what I would call working guides like these, what helps them be effective is for us to look after our aura and chakras, and have a way of living that keeps our energy up and provides enough peace. It helps them to work through our systems and provide us with any energy, emotion, and mental inspiration we need, and love. Basics first. Having enough good sleep, enough rest, enough exercise, a good diet, enough meditation, enough being out in Nature, and whatever else does you good. Not too much screen time. These have massive impact on our energy system. Then cleaning up and keeping clean our chakras and aura is really important. People have different ways of doing this. One way is to use a meditation to clean and energise all the chakras or centres. It is very handy to use a meditation to button up or close chakras when they don’t need to be open to protect the energy, and have a meditation to protect the aura. If the guide works with high frequency energy then a grounding meditation to put down roots and bring in the astral body is very useful to prevent being floaty and ungrounded. There are some forms of exercise that can be very grounding for people who don’t find it easy to visualise roots going down into the ground. Then smile, think positive, and be loving and kind to self and others, and feel that inner peace. Not always easy, I know; life is full of lessons, and sometimes it’s the guides giving us a test to help with our development! In general, it is also very helpful to have the physical space that we live in energetically cleared and cleaned. If the physical space feels calm, clear and supportive it is good for us and good for the guide(s). It may be the case that the work we do is done in what we might think is a tough environment, for example a doctor in an emergency department of a hospital, but guides also get training to handle the ambience of the environment, and some purposes are carried out in pressurised situations. Having a bit of a calm space at home helps with the unwinding of tension, and having the nurturing that is necessary. In charge of our spiritual journey in this lifetimes and future lifetimes is the Divine guide. They won’t take away our karma because we want to escape it, but they can help as they have the overview. They know the route on our journey Home. So we can ask for help. They don’t negotiate though and aren’t open to debate. Things have to be done their way. That’s why they are spiritual trainers. They are there for when people are ready to say, “OK God, Thy will be done, not my will”. Trying to talk about souls can be tricky, and fascinating at the same time. Souls originate on the Divine Journeys, in the Beyond, which is outside time, which is part of God. Souls are part of God. This is not a straightforward concept as it is so unlike our everyday reality. When the Avatar comes down into creation every 400 to 700 years in major and minor incarnations, souls, or dropsouls follow the Avatar down through the Divine Journeys into creation (or are poached, which is another story). In creation, with its planes of consciousness (0th, 1st … 6th), there is time, and karma. As time goes by, creation is ever changing and developing, and souls grow as they journey through creation. Souls fall over time, to the bottom of the zeroth plane, the slowest and least conscious plane. As souls fall, they experience a massive separation from the Divine, from God, and from their own true nature, and the Divine level of their consciousness. This is a shock that remains with the soul, even though their consciousness falls from this exalted state to zero; to a very slow, non-existent state. There remains a deep sadness and grief that is difficult to put a finger on. Simultaneously, there is an aspect of the soul, outside time, that has experienced and completed everything on the inner planes and on the Divine Journeys. This is a tricky concept and it isn’t really necessary to understand it as it wouldn’t influence the journey of the soul in any case. The You reading this, in creation, is the extension of soul energy, that is in time. The aspect of your soul on the Divine Journeys, will not be necessarily aware of what is going on with the personality you in creation, as the light is so captivating there. What this aspect of soul Up there is missing out on though is experience of life in creation, and the slow frequency light down here, particularly the dark of the zeroth plane, and also, emotion. Souls come down here to experience emotion. Souls and divine beings that stay in the Divine Journeys have no idea of what the grand adventure we call life is like down here in creation. They miss out on the journey down, and they miss out on the journey up the planes and the experiences they gain in this Illusion. Souls with an aspect of themselves down here get to experience the many lifetimes as rock and metal with the heating, flowing, crushing, and erosion, and so on, while having only infinitesimal consciousness. Then there are the many lifetimes in plant form in the many different environments. They grow, use physical light, put down roots (or live off other plants and sometimes creatures), they can be eaten. Open to the sky they experience weather and starlight. Those in the water experience those environments. They experience long or short lives, fire, drought and so on. With flowers and blossoms they irradiate scents, colour and energy. (From an energy point of view, plants have a fascinating existence.) The consciousness level is a somewhat greater than a rock or metal. Still on the zeroth plane of consciousness, the soul has many lifetimes in animal form; as worms, insects, fish, birds, reptiles, and mammals. With each change of lifeform there is an incremental change in the level of consciousness. The form that a soul takes depends on the level of consciousness that needs to be experienced. A soul going through the many animal forms experiences a huge variety of conditions, and events that happen to them. They experience instincts and intelligence. They experience emotions (some scientists may disagree, but anyone who has spent time with animals or has a pet will know when an animal is happy or sad or scared, and so on). Animals experience being on their own and in other lives, living as part of a society or group. They eat, sometimes hunt, sometimes get eaten (alive!). Animals communicate and cooperate. Then come the sub-human lives that are a cross-over point to being human on the zeroth plane. In all this, the soul grows in consciousness, and stores the accumulation of experiences in part of itself. As a human, lifetime after lifetime up until the top of the third plane of consciousness, the soul builds karma, and then balances it or burns it off from then on up to the top of the sixth plane. As a human the soul gets to experience the full range of what it can mean to be a human being, from the darkest events to the most loving and light. 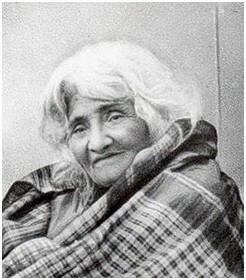 The soul experiences life in a detached way, as it is still very much in the Divine Journeys, while the person down here will experience life through personality, spirit, and the accumulation of all those vast numbers of lifetimes that occurred from rock, plant, and animal upwards. So people can be incredibly animalistic in their thinking and behaviour as their animal past comes to the forefront. This is particularly so in a human lifetime that has a leaning to the Dark Lodge and the negative dark, rather than a lifetime leaning to the light or Light Lodge. Part of spirituality is diminishing or transforming the old animalistic heritage that is rather like very old baggage. Meditation and doses of light really help here. However, to really appreciate what the light is like, and what Divine energies are like, being in the muck and the mud, and the pain and struggle that happens in creation, provides the contrast. Sometimes to know what something is like you need to experience the opposite. It also provides the crucible through which a soul gains the experience and learning, in the end, transforming it into its full beauty, and with quite a story to tell back on the Divine Journeys.